Yes, I am against AdBlocking, and I have my points for that. This specific article I wrote long time ago, but did not published that time somehow. * I will be regular in writing in 2015, this is one of my New Year Resolution. But everybody knows its tough to get back to anything at the beginning if you are irregular. Today somehow I recalled one mailed by Till from AdBlock Plus open source team. This is not to offend anybody, just my point. Its a simple add-on for browser or plugin which will block all ads of webpage that you visit using that browser. 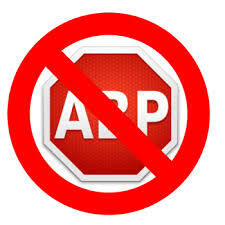 AdBlock Plus is the most used and it have support for all major browser like Internet Explorer, Firefox, Chrome, Opera. 1. Why piracy is crime? 2. Why software piracy is crime? 3. Why downloading music without paying is crime? Answer is simple. You are not paying the right person, the deserved price. You are cheating. When somebody placed ads on a site, he did that to earn from the site. As he has to earn from his effort, time, pay server bills and all other bills. But when you are blocking ads you are cheating with the site owner and stealing his earning from him. They want to give people choice what ads they want to see and what they want to bypass. But is it really their decision? If somebody made a website and put ads, it means it's his site, and he needs to earn from that, its not the visitors choice to see the ads or block the ads. If user dont like the site he could go to some other site, or if the user dont like the ads, he could just ignore ads by just not clicking it. I am not saying you have to click ads. I also understand how disgusting ads could be. But if website owner could make a site with that disgusting ads, then its their choice, you either tolerate that or just dont visit that site, website owner might reduce ads after he got lower visitor. Yes, I am a Entrepreneur, my 90% business directly depends on website or apps. But don't forget I am a vivid web user, so its my take, what yours? I know its a controversial topic, you are encouraged to express your opinion in comments or social media.